When Might You Need a Wellness Coach? A wellness coach is a professional who helps people assess their current physical and emotional state, and helps them set goals for what they want to achieve in their overall wellness and health by working with them on plans of action to reach these goals. What Does a Wellness Coach Do? A wellness coach helps their clients with the development of sustainable strategies to bring overall wellness, health, and well-being in their client's life. A wellness coach will help a person achieve their goals by working with an individual's strengths and values in creating plans for a long-term wellness strategy. Working with a wellness coach should be an inspiring, empowering and motivating experience. Wellness coaching is the collaboration between the coach and the client to achieve goals. Wellness coaches provide highly personalized help. 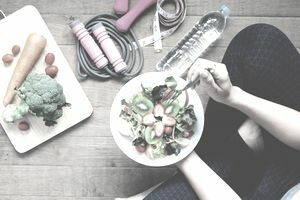 Depending on their specialization or certification different wellness coaches will take different approaches, so it is important to find one that matches what your current goals are. Read more about certified wellness coaches below. How Can a Wellness Coach Help? Wellness coaches work closely with their clients often on a one-on-one basis to give them tools to achieve their personal wellness goals. Wellness coaches are also key motivators in helping their clients stay on track as they make lifestyle changes. A wellness coach should be able to provide small steps to achieve goals and provide guidance and support along the way. Wellness coaches empower their clients to reach their goals. Where Do Wellness Coaches Work? Wellness coaches can be independent and working in their own practice or they may work in wellness centers, or hired by various types of organizations to help the employees, or members of a group, or clients in an organization. Wellness Coaching and What to Expect? Working with a wellness coach should be a pleasant, positive and motivating experience. A wellness coach will be interested in hearing about your personal situation, past experiences and what your goals are. The first step will likely be a discussion with the wellness coach to find out what is important to you, why you are looking for help and what you want to achieve. From those initial conversations, an action plan or goals will be worked on together. When Do You Need a Wellness Coach? Different people have different needs when it comes to personal well-being and health. If you think that having someone help you identify your goals, strengths, and challenges and create a step by step plan to help you reach your health and wellness goals, then you might benefit from a wellness coach. There are many reasons and ways a wellness coach can help, here are some examples of situations where people may seek the help of a professional wellness coach. Due to a newly diagnosed medical condition that requires lifestyle changes, such as diabetes. Other medical conditions such as anxiety or stress may also be helped with certain types of wellness coaching as well. Your doctor should be able to help you understand if a wellness coach is a good idea. If you want to improve your health or well-being in general. There doesn't always need to be something wrong in order for a person to want to improve their health or overall wellness. Working with a wellness coach can help. Wellness coaches may also be known as Health (or Health and Wellness) coaches, Lifestyle coaches and other similar names. Wellness coaches have only recently been "certified" but have been around for a long time which is why it is important to find out more about a wellness coach's background and expertise when you are looking to get a wellness coach. The International Consortium for Health & Wellness Coaching offers board certification for wellness coaches. In 2016 The National Consortium for Credentialing of Health & Wellness Coaches (NCCHWC) and the National Board of Medical Examiners (NBME) signed an agreement for a national certification for individual health and wellness coaches in the US. You can search the directory of coaches. The NCCHWC is not the only source of "wellness coaches" since the program only started in the past couple of years, there are many professionals with years of experience in coaching who may not yet be "certified". Some colleges offer Wellness Coach degrees and programs. There are also businesses such as Wellness Coaches that focus on providing Wellness Coaching, Nutrition Counseling, Condition Management, and Injury Prevention to businesses and employers. Navigating where to find a wellness coach on your own may be challenging, you may want to check with your doctor or a local hospital or clinic in your area to see if they have a qualified and reputable wellness coach to recommend to you. Does Health Insurance Cover Wellness Coach Costs? For example, if the wellness coaching you are getting includes nutrition counseling by an individual who has the proper credentials, then you might be covered if your health insurance covers this. The only way to know is to contact your health insurance provider or your supplemental health insurance provider before hiring anyone and see what preventative care services they cover. What Preventative Services Can You Get Covered By Medicare? What Plastic Surgery Procedures Are Covered by Health Insurance?